ORBS - faces in orbs! How crazy our world is getting...and how wonderful at the same time! As multi-dimensional Beings here on planet Earth at this time, the veil between dimensions is lifting and when we are attuned to the world around us at this crucial juncture in time, we are presented with much! ORBS have more readily shown themselves to us in photographs! You may see them as those annoying "dust" spots in your pictures and slough them off as just that - dust! 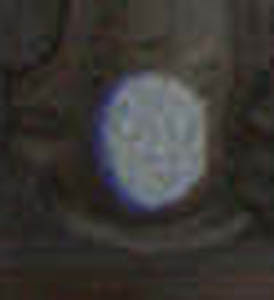 But they are more than that and now that we are ready (evolved), we can now see faces in these ORBS! Amazing! The reason we are seeing these...1) digital cameras. With this advancement in our camera technology, we are able to capture much that has never before been captured on regular film. A photographer studies the "science" of differences between whether it is dust, water or orbs. 2) Our spiritually evolving with our Earth, our Planet, and the dimensions we have here are coming together as we more readily accept our Self and our Evolvement. The veil is lifting and as this is happening we are more readily open to seeing and accepting (ok most of us) these unusual annamolies. What are ORBS? They can be seen as bubbles of the Spirits that may surround us and even some believe they are ET's checking us out. Hard to believe for some, but in my studies and reading, these can be true. Nevertheless how can we explain the distinct faces I have come across in my research? Use your discernment. I know for a fact that I have felt spirits around me many times. As one who can "tune into" the Spirit world, I can feel the presence when I have asked them to appear for readings for clients. Once, I noticed my two cats were both looking at a corner of my living room and turned to see what was intriguing them so much and there was nothing there! I kept glancing back and forth at the cats and the corner...but nothing! No one was in the house and nothing was in that corner that would have moved with a breeze or any disturbances, but they were very intrigued to say the least! Animals are more attuned to these frequencies than humans are. Varying vibrations and frequencies of light and sound..........ie, dogs hearing sounds we don't (dog whistle), higher frequencies are what it is. And our vibration and frequency is rising! So we can better tune into these very parts! I have photographed them as we practiced Matrix Energetics, at parties where there was much going on, church gatherings....they have even come out for me by request! Photos here. 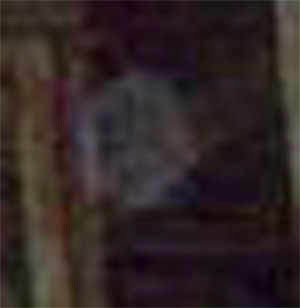 In my research I have seen many different energy orbs and only a few with blurry faces, but came across some recent ones that blew me away! My friend was travelling in Europe in the summer 2007 and took some pictures in the Vatican and area. The pictures show some amazing and almost distinct faces like the one above. Check out photos in the Vatican Church. The Orbs are so important now that there is a MOVIE that has just come out! (Jan2008) I will be going to see that at the end of January 25th here in Calgary. "Orbs, the Veil is Lifting" Movie is out on DVD. Check out the trailer. and a book - The Orb Project. There are websites which I'll post below that I've done some reading on that describe more of what I have been capturing on film.